Posted byMartin Lugton 20 January , 2018 25 January , 2018 Leave a comment on What is Service Design? 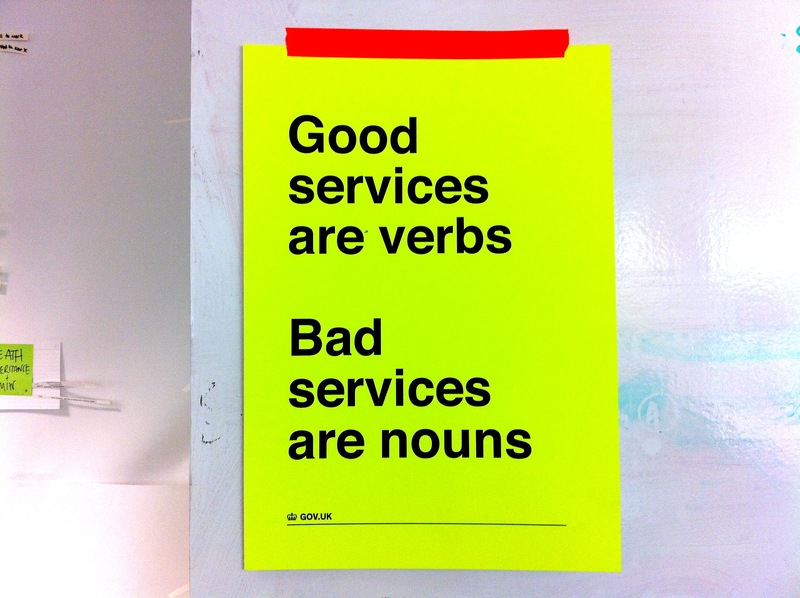 A service is a thing to help users to achieve a goal. It’s a series of touchpoints to achieve an outcome. e.g. ‘start a business’, ‘learn to drive a car’. A service starts with a need and an idea of the outcome, but no clear idea of how this will be achieved. Service design is the process of designing this set of touchpoints to meet the given goal. Currently there’s a disconnect between a user’s experience of a service and the government’s stated policy intent. But your responsibility is to challenge this proscriptive approach, and instead understand the problem and goals before even thinking about building anything. How does it relate to a wider service? To frame your problem statement, focus on the organisation’s desired outcome, and on what the users are trying to do. That keeps you focused on what you’re trying to achieve, leaving you free to explore how best to achieve those ends. As you start building, it’s useful to cycle between optimising the big picture of the service (and, as the policy process becomes more amenable, the policy behind it) and the closer detail of a given task. Oscillate between the meta and the matter. In the future, services will shape government, not the other way round. One vehicle for achieving this transition is a service community. Government is made up of disconnected units, but the user shouldn’t need to know how to navigate this complexity. A service community is a group of people whose touchpoints form part of a wider service. Newly-formed service communities include “Start a business”, “Employ someone” and “Import/Export”. They start by mapping out the current service, and then identify opportunities for improvement.